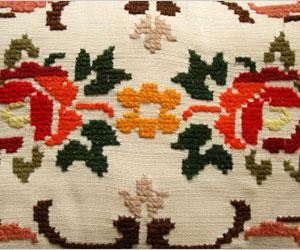 Cross stitch is a simple concept that can be used to create any number of decorative items. 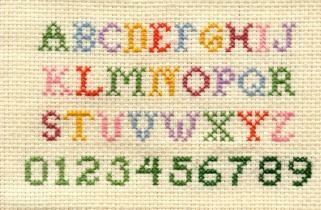 The traditional cross stitch sampler usually includes a number of motifs, alphabet letters, or inspirational sayings. You can break free from tradition, however, by making a variety of projects including afghans, embroidered washcloths, hand-stitched embellishments on clothing, and artistic wall hangings. Kits for stamped cross stitch and counted cross stitch come with almost everything you need to put your first project together, including the needle. You'll also want some kind of a cross stitch frame to keep the fabric taut as you work on it. Another type of cross stitch frame, such as a picture frame, may be used to display your finished artwork. For serious cross stitchers, a needlepoint stand allows you to work more quickly and comfortably. If you're ready to try a standalone pattern which may come out of a magazine, from a pattern book, or even downloaded from the Internet and then printed, you'll have to provide all the basic cross stitch supplies yourself. Creative stitchers may use this as an opportunity to alter the color scheme, or select a different-size cross stitch cloth to increase or decrease the scale of the finished project. You can also opt to make your own cross stitch patterns in one of two easy ways. Either use colored pencils to hand-draw your pattern on cross stitch graph paper, or photocopy an image you'd like to duplicate onto the paper. Then use the graph paper pattern as you would use a counted cross stitch pattern. You can also download cross stitch programs to help you create your own charted cross stitch designs; some even allow you to incorporate original photographs or clipart. Cross stitching is captivatingly simple, but can be used to create elegantly complex designs. It's also small and light enough to carry with you almost anywhere. Odds are good that once you've mastered the basic stitch and completed your first project, you won't be able to stop stitching!